I had the pleasure of working with a fellow RISD alum and friend, Roque Ballesteros, on his company's (GHOSTBOT) new animated short, 'Anniversary'. I created original music for the 1 minute animation and it was great fun and a rewarding creative experience. *10/25/12 UPDATE* - Through Ghostbot's recent newsletter, apparantly the animated short also got some kudos! In Ghostbot's own words... "Our bittersweet “Anniversary” was also a Semi-Finalist at Moondance and was amusingly enough nominated for Best Humor at AniMazing." 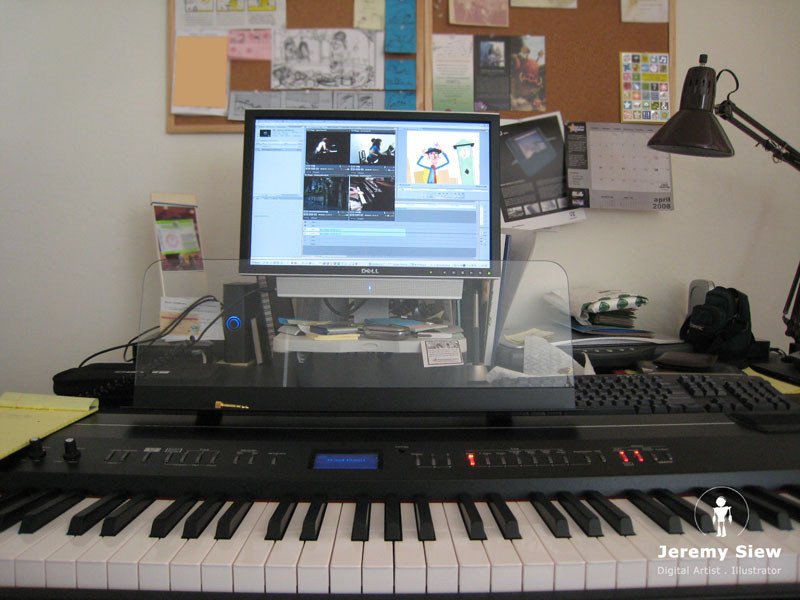 Here's a shot of my home studio at the time of making music for Anniversary. The process was to watch, feel, create....watch, feel, create.